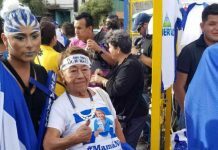 COSTA RICA NEWS — Carelessness on the roads in the country has resulted in 297 deaths so far this year, a figure exceeding the total number of fatalities in 2013. This with more than half of November and all of December, months with the highest incidence of accidents, still to go. Motorcyclists are the main protagonists of road fatalities. Accidents involving motorcycles rose 40% this year over last. According to the Consejo Nacional de Vialidad (COSVEI), the National Roads Autority, speeding, lane encroachment, reckless and drunk driving are main cause of traffic fatalities. 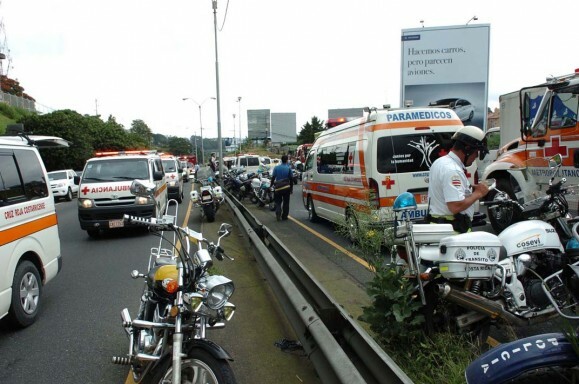 Mario Calderón, director of the Policía de Tránsito (traffic police), says that “recklessness prevails in driver culture”, made worse on high-speed highways like the Florencio del Castillo (San José – Cartago) and the Braulio Carrillo, the section of the Ruta 32 (San José – Limón) that weaves through the Zurqui and Braulio Carrillo national park, the stretch of road between Heredia and Guapiles. While in 2013 there was an 11% reduction over 2012, this year could be a record setter. 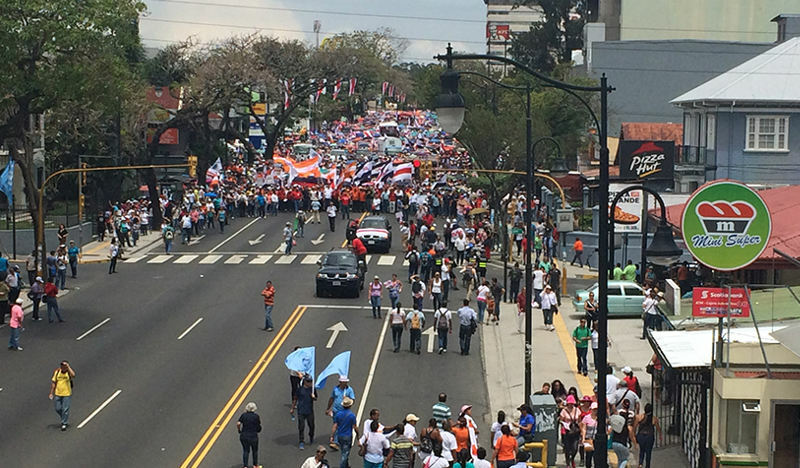 In the face of the rising numbers, Calderón says there will be tighter control mechanisms. “For the amount of drivers out there, we have very few police officers patrolling the streets. There is a need for an increased payroll (more officers),” says Calderón. The traffic police force has less than 1.200 traffic officers on duty for the entire country. Before the end of the year, the police body expects to buying 80 breathalyzers, 80 new patrol vehicles and 12 “plataformas” (tow trucks that also operate as patrol units). According to the statistics, the province of Puntarenas (which includes the Pacific coast tourist towns of Puntarenas, Jacó and Quepos) leads with the highest number of fatal accidents, followed by San José, Alajuela and Guanacaste. 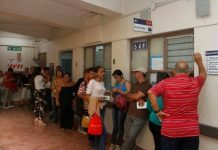 Last year the Instituto Nacional de Seguros (INS) and the Caja Costarricense de Seguro Social (CCSS) spend ¢40 billion colones in patient care from traffic accidents. CCSS hospitals treat some 30.000 patients a year, victims of traffic accidents. So far this year, the Policia de Tránsito have recorded more than 62.000 traffic accidents (on average almost 200 per day). 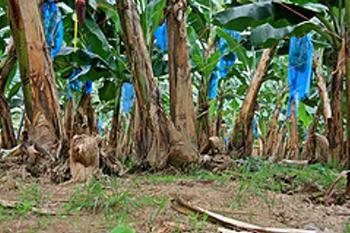 Study finds insecticide in Costa Rican children near banana and plantain plantations.